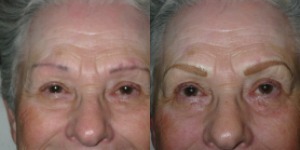 With permanent makeup, you will look like yourself… only better! And when you look better, you feel better! These prices include one follow up visit. All follow ups must be scheduled 4-6 weeks after the initial procedure. After initial first six months, touch ups are billed at a rate of 50% of the initial fee. Touch ups sooner than six months are billed at $100/service, $50 deposit due at signing. 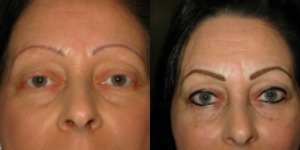 Is permanent makeup the right choice for you? Here are some reasons why it might be. Convenience. You just need more time. You have sensitive skin or allergies. You wear glasses or contact lenses or have had Lasik surgery. You suffer from arthritis or painful hands. 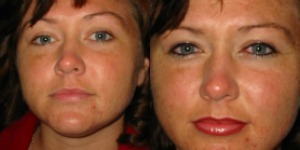 You have difficulty applying makeup or don’t like the way it smears and disappears. 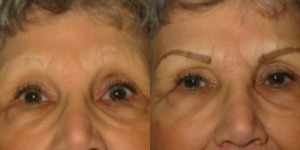 You’re experiencing aging changes in brows, lips, and eyes. You’ lead an active or outdoor lifestyle. You like a natural ‘no makeup’ look. You have hair loss from alopecia, chemotherapy, accidents, burns or cosmetic surgery. 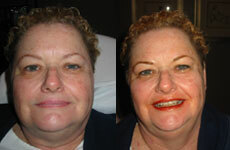 You want color correction, scar camouflage, breast areola loss, cleft lip, or vitiligo. 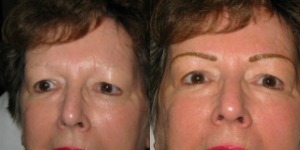 Some common questions that we are asked about permanent makeup. How long will it take to recover? Approximately 3-4 days. 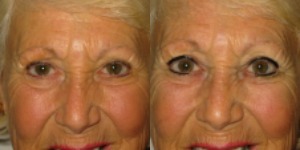 Immediately following eyeliner, you may look as if you’ve had a good cry for several hours. Using an icepack for 15 minutes at a time during the first 24 hours will help with that. 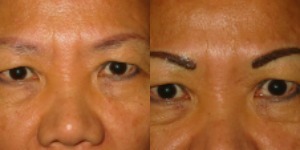 Eyebrow procedures have the least swelling. Lip color often involves temporary swelling. You must let your permanent cosmetic professional know if you have a history of fever blisters so medications can be prescribed. How long will my makeup last? 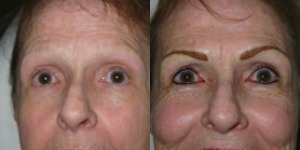 Permanent makeup lasts a long time, but not forever. As you become more accustomed to your new makeup, it’s not uncommon to want more. 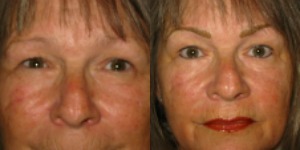 You will want to freshen up your new makeup every couple of years. The darker the color, the longer it will stay unchanged in your skin. Natural delicate colors are affected by the sun, swimming and break-down by the body’s natural response. 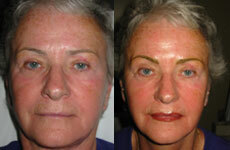 Topical anesthetics have been developed especially for permanent makeup procedures. 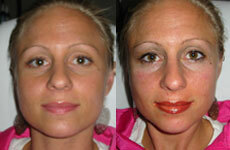 These creams/gels are applied to the skin before and during the procedure to keep you comfortable throughout. If there is any discomfort, it is minimal. Rarely is anything stronger than Tylenol necessary for the discomfort and you won’t have to miss work or take time off to recover. NOTE: Do not make your decision based upon price. Please ask questions! It’s important to know how long your practitioner has been in business, training they have received, whether they have insurance and are inspected by the Health Department, which is required by the State of North Carolina.